Follow these steps to get your car ready for fall, and if you need a new ride this season, come visit us at Chip Wynn Motors. You can already feel the air getting a crisp chill in the evenings, meaning fall is nearly here. Along with going to football games, eating all the pumpkin-flavored things you can, and wearing your favorite cozy clothes, you need to get your car ready for fall. Here are a few tips to get you started. Check your antifreeze. 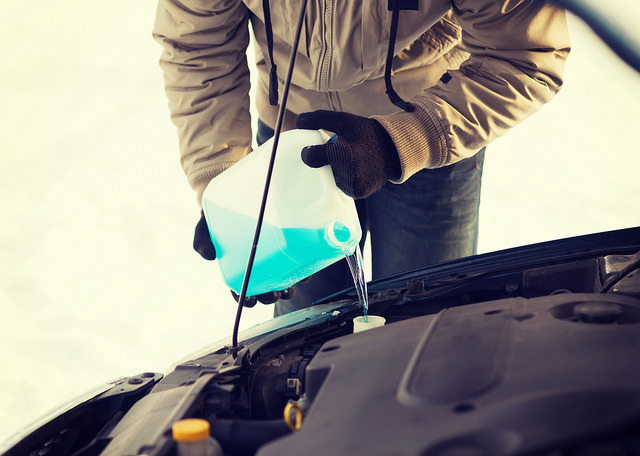 As the temperatures start to drop below freezing, you want to make sure your antifreeze levels are good. This liquid regulates your engine’s temperature to keep it running smoothly. Keep your gas tank full. You don’t want to be stuck on the side of the road in a freezing cold car simply because you ran out of gas. Don’t let your tank get too low. Not only will you not run out of gas, but it will help prevent your gas lines from freezing. Pack an emergency kit. Even with lots of preparation, you can still break down unexpectedly. Prepare for the worst with an emergency kit that includes warm blankets, a charged cell phone or extra battery, high-energy snacks (nuts), etc. Check your exterior lights. As the days get shorter, you will be driving with your headlights on more frequently. Make sure all your exterior lights are working. One important part of our American football tradition is the tailgate party. Here are some tips on how to have the best tailgate party ever. For many people, football season really is the best time of the year. There is nothing quite like getting together with your friends and family to cheer on your favorite team. One important part of our American football tradition is the tailgate party. Here are some tips on how to have the best tailgate party ever. Stay Organized. Use things like toolboxes or caddies to keep all of your tailgate party essentials together. This includes grilling tools, toothpicks, utensils, seasonings, sunblock, bottle openers, and more. Sit down. While you might be focused on the food, don’t forget that you will want a place to sit. Pack folding chairs or plan to use your truck’s tailgate or SUV’s cargo area for seating. Pack some fun. Yes, everyone goes to a tailgate party for football, but often tailgating starts hours before the actual game. Bring some activities to stay occupied until kickoff. Bring a deck of cards, a few board games, or even toss around a football (as long as you don’t hit anyone else). Bring a tent. Soaking up the sun can be fun for a little while, but not when you start turning into a lobster. Bring along a canopy tent to shield you and your guests from the sun. Are you planning any tailgate parties this year? If you need a new ride for your tailgate fun, come visit us at Chip Wynn Motors.